Shred the Cheese, dice the onions and mushrooms, shred the brussel sprouts, chop the bacon, and get some water on the stove. 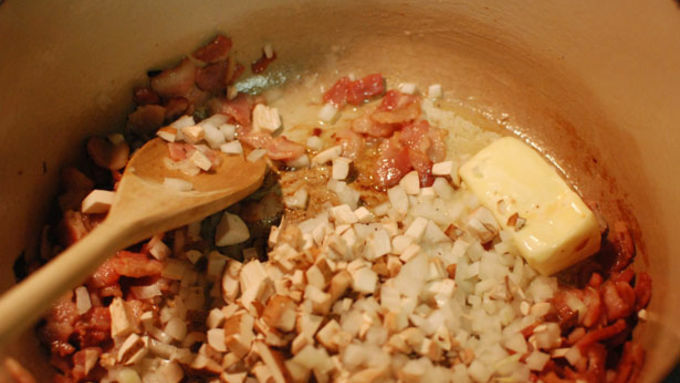 Make the sauce: Cook the bacon until fully cooked. Drain out most of the fat and add the butter. Add the onions and mushrooms and cook about 5 minutes. Add the flour and stir constantly for at least 5 minutes. The mixture should be fully incorporated and begin to have a nutty aroma. Slowly whisk in the milk making sure to whisk out all lumps. Bring this to a simmer and start stirring the cheddar and jack in in handfuls. 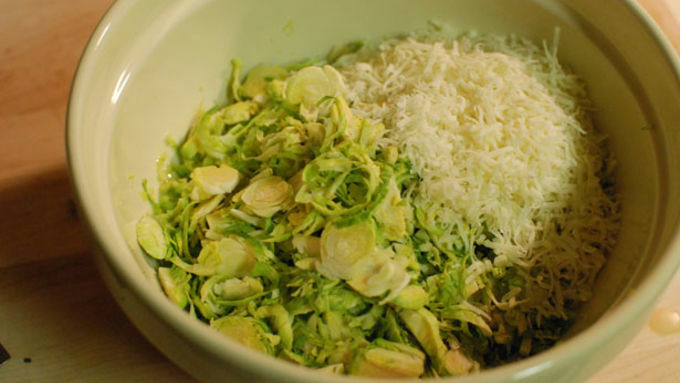 Mix the shredded sprouts with the romano cheese and melted butter. Cook pasta about 3 minutes less than the package says. It should still have a bite to it. 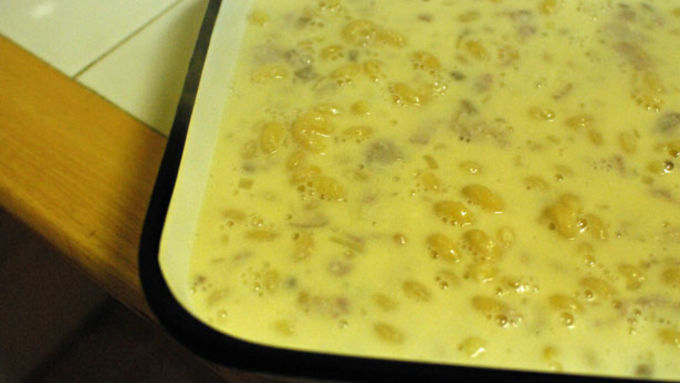 Mix the cooked pasta and the sauce together in a casserole pan. Top the pasta with the brussel sprout mixture. 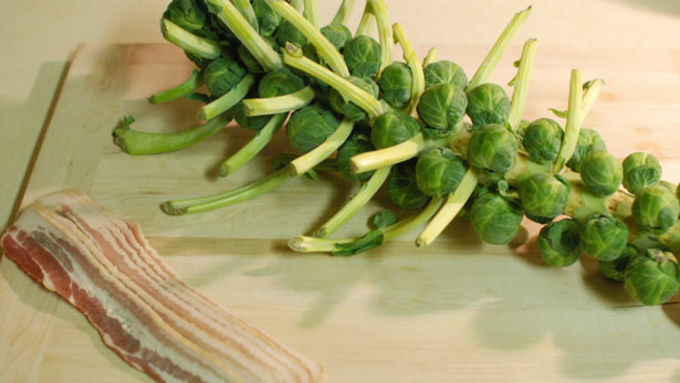 Toss this into a 400°F oven for 30 minutes until the sprouts are browned. If they aren't brown after about 25 minutes, broil it for a few minutes. 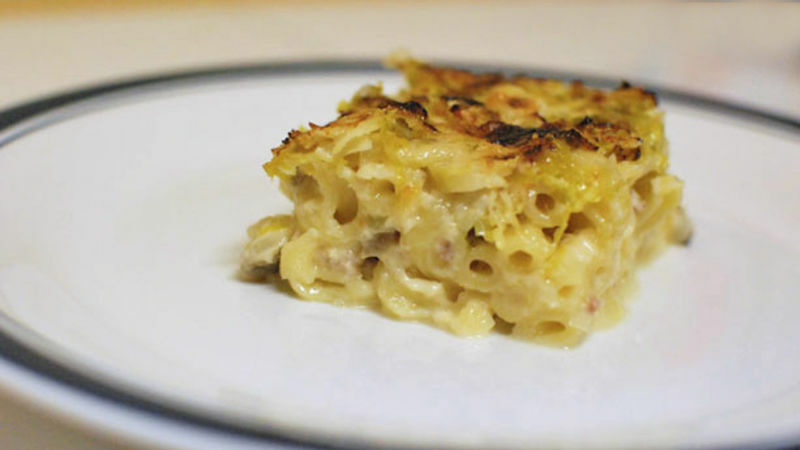 I have been trying to get brussel sprouts into mac and cheese for years. Seems like every time Autumn comes around, I try and fail! Mixing them into the mac created soggy and tasteless sprouts. The next time I tried browning them first and they became way overcooked. The addition of breadcrumbs didn't help the flavor, but only dried everything out! This year was different. This year I had a new angle. Use the brussel sprouts INSTEAD of the breadcrumb topping! I like the top of a mac and cheese to be browned, and I also like brussel sprouts to be browned. I like romano cheese mixed with breadcrumbs, but I also love it with brussel sprouts! I knew I was on to something. The Mac and Cheese turned out awesome and is definitely going to be a new fall staple of mine!